Last year we published our Social Media Hall of Fame II, which many of you will have seen, retweeted or read in sheer amazement at the creative abilities of some of the most savvy social media experts the world over. As we predicted, 2012 has been a year when social went from being mainstream to omniscient, with it impossible not to turn on the news, read a magazine or even go for a walk without social media having some kind of part to play. In short, social media has dominated and even created the news agenda, whether it be Obama’s famous Instagram ‘Hug’ on winning re-election or the Twitter earthquake that was the announcement of Princess Kate’s pregnancy. Our files are literally full to bursting with great campaigns and stunts that have happened during the past 12 months and as a momentous year comes to pass, pull up a chair, pour yourself a sherry or two (after all, it is Christmas) and gather round to read what, amongst a sea of social media stunts has made us sit up and take notice. Some of the world’s best social media campaigns from the past 12 months are highlighted below. They are case studies that, for one reason or another, have made us think ‘great campaign’. In deciding what is/is not a relevant case study, our social media litmus test has been to ask if they involve either online social interaction, user participation or user-generated content. The Social Media Campaign Hall of Fame III is in no particular order and, as is the case with lists like this, there’ll be great campaigns you love that are not yet listed, and others you feel should not be included. This is not a list of the campaigns that have the most followers/biggest fan base/most views. It’s about doing creative, interesting campaigns. And, of course, that’s subjective. If you have a suggestion for inclusion, email it to social@umpf.co.uk And please do share your comments at the foot of the page too. A Merry Christmas to you all and a very Happy New Year! Our Greatest Campaign for our Greatest Team? In short, it was social media gold and you can read more about it here in Tom’s own blog entry. A brand not exactly shy from big bold marketing strategies Red Bull went a bit further this year by sponsoring Felix Baumgartner’s attempt at breaking the sound barrier. 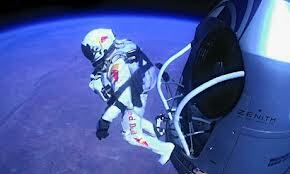 This incredible feat as we all know saw Felix Baumgartner jump from a specially made capsule 24 miles above earth. The live stream of the event went on to beat the YouTube record for consecutive live streams with eight million people watching to see if Felix would fry or fly as his boiling hot body hurtled back to earth. It may have cost a fortune for Red Bull to get the project going but the amount generated in equivalent ad space was estimated to be in the hundreds of millions and the memories will live forever, thanks to social media. So successful was the stunt that the company has since been valued at £5bn. The American Red Cross, in association with Dell, launched the first social media-monitoring platform which is dedicated to humanitarian relief in March. The Digital Operations Centre aims to better equip the Red Cross to share safety and preparedness tips in the event of a natural disaster, and empower communities to use social tools to seek help. Following the launch of the centre, the Red Cross is also now accepting ‘digital volunteers’ to reply to social media calls for aid. Wendy Harman, Red Cross director of social strategy, told Mashable that while the Red Cross is far from turning into a organisation that can answer every cry (or Tweet) for help, the programme will enable volunteers to give out ‘virtual hugs’. Lovely! Fruity soft drink brand Dr Pepper released an interactive Facebook experience which let users take a leading role in their own Dr Pepper advert. A ‘Best Day of High School’ microsite was launched, allowing users to connect with their Facebook data and have a first person perspective through a day at an all-American high school which has been populated with images and info from your Facebook profile. Dr Pepper’s interactive Facebook experience was fun and light-hearted – similar but less frightful than the recent TakeThis Lollipop, The Swarm rollercoaster and Confused.com’s House of Horrors apps. “I hate it when my house is so big I need two wireless routers” This was a great example of a #FirstWorldProblem, the hash tag which satirised the ridiculous things that we all sometimes complain about here in the ‘developer West’. The Water is Life charity came up with an extremely clever campaign which saw local Haitians read out a series of first world problems to the back drop of their modest surroundings. It caused a bit of a stir with some not happy about it, whilst others labelled it one of the best charity campaigns ever. We happen to think the latter is true. Perspective is an important thing and this campaign gave us exactly that. Specialist outreach organisation, Refuge, released a hard-hitting Youtube video in July to raise awareness of domestic abuse. 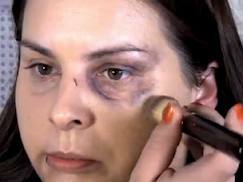 Entitled ‘How to look your best the morning after’, make-up artist Lauren Luke features in an instructional video where she uses make-up to cover up cuts and bruises received from rings and watches or being pushed into a coffee table. Lauren also suggests wearing hair down or scarves for great coverage. The video was part of a campaign to make people aware of the facts about domestic abuse and to encourage women who are victims to speak up, not cover up – we couldn’t agree more and whilst it’s not an easy video to watch it uses the power of video and the shareability of YouTube content to great effect. Peugeot Panama (the country, not the hat) launched a Pinterest competition which asked users to complete puzzles in order to win prizes. Peugeot created a number of boards which showed models with pieces missing – users then searched for pieces of the puzzle on Peugeot’s website or Facebook page and re-pinned them on their own Pinterest boards to complete the picture. Peugeot explained on one of its competition boards: “This is a 5 piece puzzle of a Peugeot 207, as you can see there are 4 pieces missing. Look for them in our website (peugeot.com.pa) or in our Facebook fan page, pin them in your own board and share it with us. The first 5 people to complete their boards win!” Whilst we loved the use of Pinterest and the visual aspect of this campaign, the only slight downfall was that the competition dynamics were a little bit complex – maybe due in part to Peugeot having to change the competition following Pinterest’s redesign. Nonetheless, this was one of the more original competitions that we’ve seen run on Pinterest this year. Whilst not a ‘campaign’ in the strictest sense of the word, we loved this infographic from a rather brainy student from the University College of London. Said student created a ‘Twitter map of London’, which was a colour-coded graphic which pinpointed the location and language of tweets sent from London and showed how linguistic groups are clustered in the city. We’re data-geeks here at Umpf but we also appreciate the aesthetics of a good old infographic, so this really caught our eye. 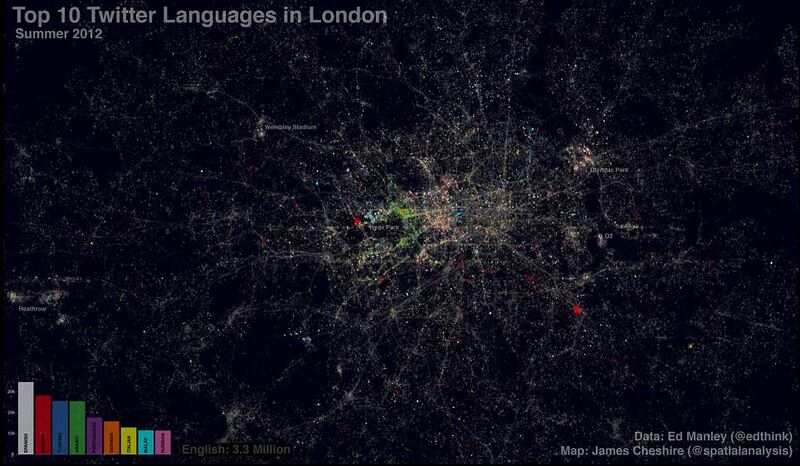 The data scraped from twitter and populated onto the map detected a total of 66 languages, in which 92.5% were English. However around 1.4million tweets had to be discarded because the language could not be determined. Quite a few tweets were sent in Tagalog, the Philippines language – but taking a closer look showed that many of these tweets were uses of English online colloquialisms like ‘hahahahaha’, ‘ahhhhhhh’ and ‘lololololol’. Manufacturer of feminine hygiene products Body Form got our vote for “Novel way to reply to a customer award”. The company received this comment from a slightly disgruntled man at their apparent misrepresentation of the female menstrual cycle and its subsequent symptoms. The company liked it so much, they responded with this video. As we’re sure you’ll agree, it’s straight-talking and funny and I doubt it cost much to produce either. The video spent the following days flying around social media and the company have been correctly praised for a clever piece of customer service/marketing. It can be all-too-easy to hide behind the bland corporate ‘face’ when responding to customer service enquiries over social media, but we’ve been impressed by O2’s social media customer service team this year. Not only have they provided us with plenty of amusement in the form of ghetto-talk, but they seem to have a knack of getting customers on side, which they did previously when their service suffered potentially killer black-outs. In spite of the difficulties, they communicated with their customers in an informal, effective way and that’s no mean feat when you consider how badly wrong these things can go on social media. 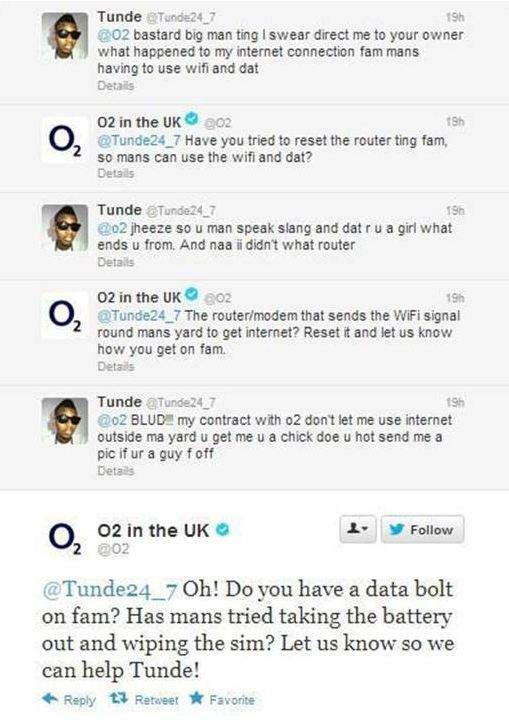 Hats off to O2 we say! Social media and Twitter in particular has been credited with ushering in a new era of citizen journalism, giving us all the opportunity to make and report on the news. Truthloader, the citizen journalism project from ITN was out looking for a presenter to “challenge everything” in their new weekly citizen journalism discussion programme. Only the bravest were asked to apply and candidates were asked to submit a showreel for consideration to truthloader@itn.co.uk. The recruitment video has been taken down, but check out their YouTube channel to see some of the hard-hitting stories they cover. Fan engagement company Top Spin Media used Instagram to curate a gallery of imagery for 80’s Skate Crew the Bones Brigade in order to promote the release of a new autobiographical film of the skate crew who brought the sport to massive numbers and included the legendary Tony Hawk as a member. 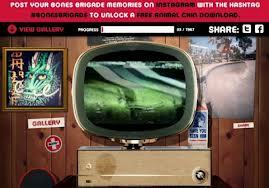 Originally intended to gather 2000 images, it currently stands at over 10,000 and receives regular interaction from the bones brigade members themselves. Keeping on the breast cancer theme, in honour of National Breast Cancer Awareness Month in October, Ralph Lauren donated $1 (up to $25,000) to its Pink Pony Fund for every like and reblog it received on one of its Tumblr posts. The post featured an animated graphic that read, “Pink Pony: Join the Fight Against Cancer.” It received over 33,000 posts. Whilst it was a nice move to donate to charity but some did question the whole motivation behind the campaign. Gap ran a similar campaign in late 2010. The company posted a series of video commercials to Facebook, and donated $1 for every “Like” they received on top of a $150,000 base donation to charities including Camp Interactive and Feed Projects. Still, as a well-known British retailer says ‘Every Little Helps’ so perhaps we shouldn’t question the motivation behind the Tumblr page. We absolutely loved this campaign when we came across it in Spring 2012. In an effort to expand Hellmann’s relevancy beyond the sandwich, the company and ad agency Ogilvy Brazil launched a campaign that told consumers how the groceries they had just purchased could be used to make a new mayonnaise-intensive dish. They partnered with a large supermarket chain called St Marche to install software in cash registers at about 100 stores. When customers purchased Hellmann’s mayonnaise at these stores, the software automatically looked at the other ingredients in their cart and compiled a recipe that used them. The recipe, complete with preparation instructions, was then printed on the customer’s receipt. Within the first month, sales of Hellmann’s mayonnaise increased by 44% at stores with recipe receipts, according to a video about the campaign. HELLMANN’S RECIPE RECEIPT from NewWork on Vimeo. In May Live Below the Line challenged the American public to live five days spending $1.50 or less on food and drink. The $1.50 benchmark for the campaign came from the amount of money 1.4 billion people living in extreme poverty spend each day on food. Live Below the Line hoped to change the way people thought about poverty and ran from 7 – 11 May. “The intention is to increase awareness that will drive action to support poverty,” Michael Trainer, U.S. country director for the Global Poverty Project, said. To assist people with what sounded like a near-impossible task, Live Below the Line suggested some foods and meals, such as oatmeal, coffee, rice and beans, which fitted into the $1.50 budget. Even those who weren’t able to participate could still join in the conversation by using the hashtag #belowtheline. An additional strand to the campaign, called Come Dine Below the Line, encouraged people to host their friends for a dinner party and serve a meal worth 50 cents per person. Photos were shared with the hashtag #dinebelowtheline. It’s no surprise what month this next campaign fell in. Trending on Twitter since the morning of November 1st, the social web was full of bare and ‘tache-less faces, ready to grow out to raise awareness of men’s health during last month. This year the charity pulled out all the stops to make the campaign as social as possible. The Movember app allowed participants to track their growth using the Mo Tracker and even turn it into a shareable GIF, while an infographic created by Radian6 showed that the #1 top mentioned ‘stache style was the handlebar. 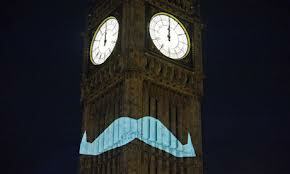 That, coupled with the guerrilla-style tash beamed onto Big Ben all made for a highly successful and social Movember. Star of the social media show this year was most definitely Pinterest and brands started to experiment with the functionality of the platform to great effect in 2012. In an unusual twist, Honda offered five of the most active Pinterest users $500 to spend on the things they’ve been pinning… if they take a day off from Pinterest. 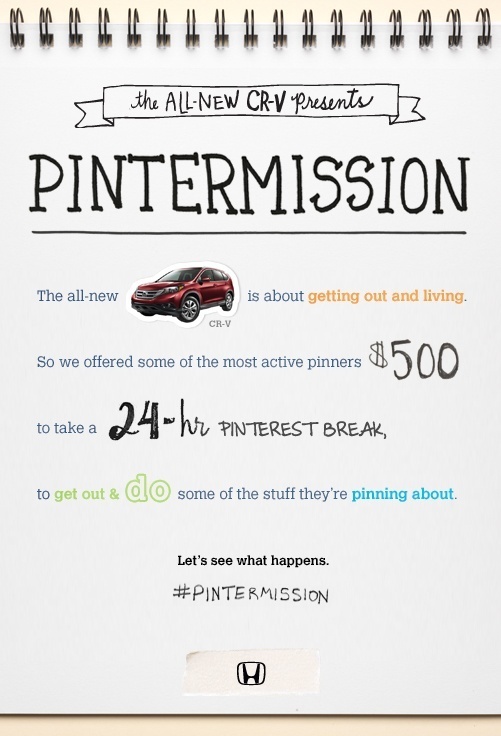 Called #Pintermission, the campaign to promote Honda’s new CV-R saw the manufacturer tweet the offer to selected pinners and in return for the $500, the Pinterest users will share images from their $500 experience on Honda’s Pinterest page. Unconventional, but very clever! FedEx showed off its human side with its Community Involvement board on Pinterest this year, which showcased FedEx employees’ philanthropic efforts. Each pin included a brief summary of whom, what and why, and was a great way of showing that there’s more to the company than just boxes and shipping. PetPlan Pet Insurance also used its Meet the Team board to a similar effect, showing that ‘Behind every person on the Petplan pet insurance team is a pet. Sometimes lots of them!’ and relating customers to staff. Whilst we’re not ones for blowing our own trumpets (well, not much anyway!) we couldn’t do a social media hall of fame for this year without managing an ice-cool Pinterest campaign. To celebrate Lec Refrigeration’s 70th birthday, Lec teamed up with artisan ice cream producers Simply Ice Cream and asked for its Twitter, Facebook and Pinterest friends’ help to create a brand new and unique ice cream flavour. Lec asked its fans to choose from 24 million possible flavour combinations of 70 flavours (including everything from creme brulee to grass and coffee to Guinness!) and create a Pinterest board using their four favourite flavours. 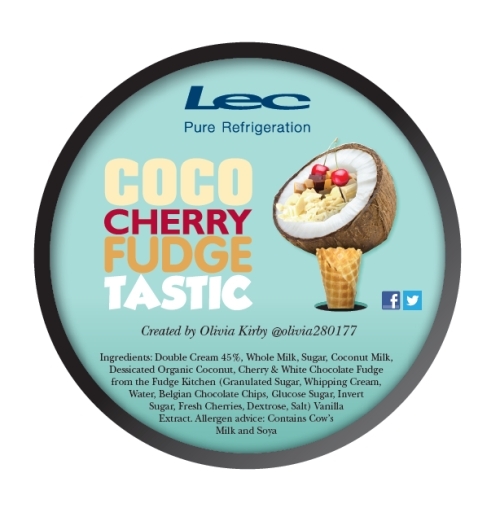 Entrants then tweeted their ice cream flavour using the hashtag #LecIceCream – over one hundred unique entries were received and the winner was ‘Coco-cherry-fudge-tastic’. The ten best flavours were shortlisted by Lec and Simply Ice Cream and went to a public Facebook vote, with CocoCherryFudgetastic being crowned the overall winner. The ice cream flavour was made by Simply Ice Cream and given out to 20,000 visitors at the BBC Good Food Show Winter at the Birmingham NEC at the end of November. BMI, now absorbed into the behemoth that is BA-Iberia launched a Pinterest competition appealing to holidaymakers, asking users to repin images from its boards of where they’d most like to go on holiday, with the winner receiving free flight tickets. BMI also promoted the competition and announced winners via its Tumblr, creating more of a dialogue with users than Pinterest currently allows. Repinning competitions, increasingly common on Pinterest, has proved to be a great way of sharing products with a new audience while encouraging click-throughs back to your site. Lovetub, a hot-eat pudding brand launched a social media campaign with Finn PR to drive product awareness, drive trials and sales. Housed within a custom built Facebook app, the campaign used the strap line “feel the love, share the love”. 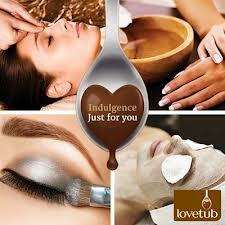 The app invited consumers to: “Feel the love” by downloading a printable coupon for a FREE lovetub, in exchange for them becoming a fan of the lovetub Facebook page and “Share the love”, by sharing their experience of lovetub on the Facebook wall. The app drove 9,951 coupon prints, 2,952 coupon redemptions and grew the Facebook community from 500 to 19,694 in a week. A blogger outreach programme, online competitions and coupon seeding helped to create what we would definitely call a ‘360 degree’ campaign and generated a 16 per cent uplift in sales. National Express, the UK’s number one coach operator went to McCann Public Relations for this social media campaign. It was looking for an engaging campaign to increase sales and awareness of its Young Person’s Coachcard, and create lasting engagement with travellers within the 16-26 year old age bracket. McCann developed the ‘You Know You Wanna’ campaign platform. At its heart was a competition of a lifetime for someone to win tickets to six major festivals in 2012 for them and three mates, £1000 in spending money, plus a full festival kit including tent, wellies and coach travel. By entering the competition, people left their details, enabling National Express to target them with follow up information on the Young Person’s Coachcard. The ‘You Know You Wanna’ strapline was also used to promote the ‘save 30% with a Young Person’s Coachcard’ message.Facebook was chosen as the primary campaign hub. A Facebook app called ‘You Know You Wanna’ was developed to allow visitors to enter the competition on the Facebook page, as well as register for more details about the Young Person’s Coachcard. Along with experiential marketing, media and others, the campaign garnered over 28,000 visits to the app and 2,730 entrants for the competition. Fashion brand Calypso St. Barth enlisted well-known fashion blogger Christine Martinez (the fourth most-followed Pinterest user when the campaign went live) to ‘live pin’ a photo shoot for the brand’s summer 2012 look book. Before her trip, Christine pinned what she was packing to a board on Calypso St. Barth’s profile – allowing the brand to share Christine’s popularity on its profile and drive traffic back to its website. Calypso St. Barth then flew Christine to the Caribbean photo shoot in exchange for her pinning photographs of her trip to a board on her Pinterest profile. Leslie Hall, President of Calypso St. Barth’s marketing agency ICED Media, said: “The reason this program is primed for success is because Christine is an actual Calypso shopper and her boards embody the Calypso aesthetic. Everything is measured so we can track referrers, traffic, and sales. It’s an example of efficient and qualified targeting at scale”. Calypso St. Barth appeared to be the first brand to enlist a ‘power user’ for marketing purposes. Skin Stories was a well executed campaign by Bio-Oil’s agency, Pegasus PR, set up to help connect women suffering with scars and stretch marks with each other and to better help them receive the right information for addressing their concerns. It quickly engaged over 30,000 women via a Facebook hub, Mumsnet, key bloggers and other social channels. 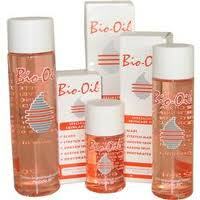 By harnessing people’s willingness to share their experiences through social media, this campaign communicated Bio-Oil’s personality and understanding of these issues, reinforcing brand love amongst existing fans and inspiring new ones. You can read more about the details here. Smarts developed a digital and social-centric PR campaign that showcased the whiskey brand, Bushmills, personality. The execution was Bushmills Live, the world’s first whiskey and music festival to be held in an Irish Whiskey distillery. It featured some famous fans including Snow Patrol and Elijah Wood playing to an exclusive audience of 400. Access to the event was secured through participation in social media channels and the artists became digital ambassadors for the brand. As a result, Bushmills Facebook page grew by over 100% (+40,000 new likes) in 3 months, with over 100,000 comments, shares or unique posts about the event. The campaign also witnessed 223% growth of twitter followers. 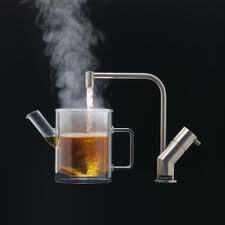 The eco-efficient instant hot water tap, Quooker, looked to Quay West Communications for its social media presence with the agency overseeing platforms where the brand could engage with customers but also to use the informality of social media as a route to opening up new business and seeking celebrity endorsement of the product. As a result of a comprehensive social media campaign including celebrity endorsement on Twitter, facts and stats on the product on Facebook and Pinterest activity, 1000 followers were added on Twitter, nearly 3000 on Facebook and more than 3000 YouTube views. 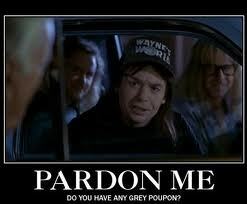 This campaign was created to generate a sense of exclusivity for the Grey Poupon Facebook page and oversee the page. Users who wanted to become fans of the Grey Poupon Facebook page were required to apply for a “membership” through “The Society of Good Taste” application. The app scanned users’ Facebook profiles to learn more about interests, friends, etc., and then automatically assigned users a score that determined whether they had good enough taste to be a fan of the Grey Poupon page. We liked this campaign because the idea of turning away Facebook fans seems counter-intuitive. However, with so many brands and people on Facebook, this was Grey Poupon’s way of ensuring its Facebook community was really full of die-hard fans. The goals of this campaign were to use the Nike brand to encourage and motivate people to “make it count” this year. The campaign focused on fitness and health and incorporating powerful photos, content, and videos corresponding with the “make it count” message. The campaign was cross-channel (Instagram, YouTube, Twitter, Facebook). The Twitter aspect of the campaign seemed to be the most successful. The #MakeItCount campaign was launched in January 2012, when people were making their New Year’s resolutions. The campaign featured 11 athletes in three countries. Videos, photos, and links about how these 11 athletes were pushing their boundaries and “making it count” were shared on social channels using the #MakeItCount hashtag. This content was shared virally, and users began sharing their own #MakeItCount experiences and how they were motivating and pushing themselves. The goals of campaign were to create awareness for the new startup Dollar Shave Club and make a video that resonated with the core audience so much that it would significantly affect business. Dollar Shave Club spent $4,500 on this initial video that was aired on YouTube. The product is smart; razors are expensive, and Dollar Shave Club provides significant business value. The brand kept the video short and relatable, yet bold. The video included a few “choice” words and humor that resonated with the target audience. Thanks to Jackie Evancho’s YouTube entry to “America’s Got Talent,” the show wanted to enable people to audition for the show on YouTube for real. So they enabled users to submit their video entries through the show’s mobile app, YouTube channel, NBC page, or Facebook page. They were then deemed worthy (or not) to compete live on the show. This campaign was successful because video content is so shareable, and when users see videos, they begin to build relationships with the subject of the video and might be more likely to follow along on the television show. Furthermore, opening up entries to all Americans (who have a YouTube account or a way to share videos) ensures that the show is authentic and gives everyone a chance to compete. Cadbury is no stranger to social media campaigns but one of its most interesting was to celebrate the brand reaching 1m Facebook fans. The age-old problem of engagement meant that only 16 per cent of all its Facebook fans saw the content it posted, so to test what content users would engage with, Cadbury decided to build a giant Facebook ‘like’ thumb out of pieces of Dairy Milk. It used teaser ads in the build up to the event, then live streamed in a studio decorated with user-generated content and photos. The team also responded to user requests and comments in the video. 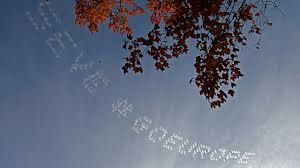 As a result, Cadbury gained 40,000 Facebook fans and more than 350,000 people were actively involved in the campaign. Some fans even left the live feed running for hours on end. 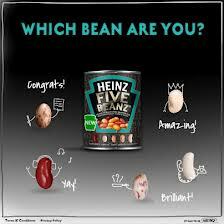 As part of the marketing activities around a new Five Beanz variety, Heinz created a Facebook quiz app that told people what kind of bean they had grown up to become in response to a series of questions about their personality traits. To encourage people to take part and share the app, five winners were picked every hour and sent a personalised bean and every user that invited 10 people to take the quiz was given a goodie bag. Heinz also offered Facebook fans a coupon so they could try the product.The campaign ran for two weeks and achieved impressive results including 22,000 who took the quiz, 10,000 shares of the app and a reach on Facebook of nearly 11 million. A Belgian TV station setup a dramatic set piece in a town square to advertise a new TV station, involving a shoot out, fights and American football players. To kick off the over-the-top action sequence, members of the public had to press a red button in the square with a sign saying ‘Push to add drama.’ As is often the case with viral videos, you’re never quite sure whether the members of the public are indeed genuinely unaware of what’s going on, but you can’t really argue with 39m YouTube views. 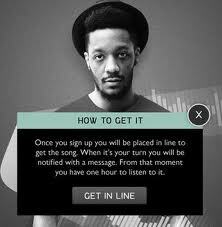 Swedish rapper Adam Tensta launched his single ‘Pass It On’, which could only be heard by one person at a time through a Facebook app designed especially for the musician. Eschewing the traditional route of trying to get content to as wide an audience as possible as quickly as possible, the rapper’s single required fans to visit his Facebook page and install the passiton app, after which they were placed in a queue. A message was sent to the email address linked to the user’s Facebook account when it is their turn to listen to the track, which had to be done within one hour of receiving the email. Clever concept and well executed. To celebrate the 100th birthday of heritage British cooker brand Belling, an eight-foot ‘tweeting’ celebration cake was created by quirky cake artist Connie Viney and… us! The giant cake was unveiled at the BBC Good Food Show Winter and visitors to the show, along with Belling’s Twitter followers, helped to decorate the icing sculpture by tweeting birthday messages which were instantly printed with edible ink, on to edible paper. 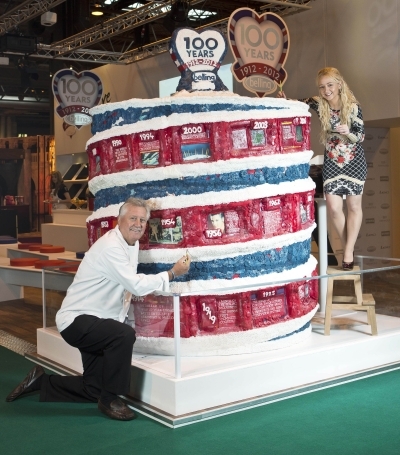 London-based cake and icing sculptor Connie Viney, known for her outlandish and larger-than-life creations, worked with Belling to develop the giant cake which featured key historical moments from the past 100 years. The final event to be created out of sugar, quite literally the icing on the top of the cake, was the London 2012 Olympic Games and was voted for by Belling’s Facebook fans. Anyone could get involved with the celebrations by tweeting their birthday message using the hashtag #Belling100years, and help to create the crowdsourced cake decorations. Coffee Chain Tim Hortons in the UAE thought of an ingenious way of keeping coffee aficionados up to date with the latest gulf news – using a bespoke printer which fitted the sleeves of the chain’s coffee cups, they printed up-to-the-minute tweets of the latest gulf news, then placed the sleeves on the coffee cups. With QR codes also placed, the tie-up helped to drive the age-old association of catching up with news over a coffee. This outdoor AR campaign worked a treat, with punters at train stations standing in shot of three cameras, selecting their favourite trainers and then seeing them appear on their feet by use of AR/super-imposing. Consumers could then share photos of them wearing what could be their latest pair of shoes to their friends using Facebook and then QR codes provided direct links through to the digital store where purchases would result in next-day delivery of said shoes. Great campaign and great execution. Robbie Williams gave one user of Chatroulette the fright of his life when he launched his new single on the site. Chatroulette randomnly pairs up two users via a webcam where they can chat to one another before moving on to another conversation. Williams took the opportunity to test some of his new material for one lucky user. Adam Houabi was the random user drawn to hear the new track, which he says is called ‘Losers’, on the social network. “One minute I was talking to a bloke from Algeria… then amazingly Robbie appeared,” Houabi told The Sun.